Psychological suspense is one of my favorite genres and I love reading a book that I can't put down until I get to the end. Thankfully, I am retired and don't have to worry about getting up to go to work because both of these books kept me up long past my normal bedtime. 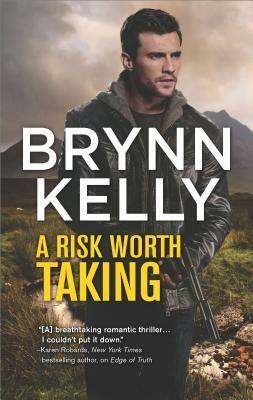 I wasn't aware until after I finished A Risk Worth Taking that it was the third book in a series. You can read it as a stand-alone with no problem but I enjoyed it so much that I plan on ordering the earlier books in the series. The action in this novel starts on the first page and stays at a high level until the end. I must admit that I was tense throughout the entire book and couldn't it down until the end. Thanks to the publisher for this wonderful book that caused me to miss lots of sleep. Samira is a computer expert with secret knowledge about a government official in the US. She has been in hiding for a year and as the book begins, her cover is blown and the bad guys are outside her hiding place. She manages to escape and when she gets to London, where she feels she'll be safe, she needs to be rescued again - this time by one of the Legionnaires - Jamie, who she had spent some time with earlier (I guess in one of the earlier books). As they both try to keep one step ahead of the people who want to kill her and keep her from sharing her files, the suspense ramps up and stays at a high level. At the same time, there is a sweet love story between Samira and Jamie. A Risk Worth Taking is a fantastic book. You won't want to skim it because there is so much suspense on every page. This is definitely a must read by a new amazing author. Today my Saturday plans got totally changed. 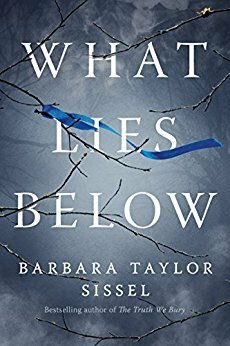 This morning I decided to start What Lies Below and just read a couple of chapters. Here it is in the early evening and I have just finished the book after spending the entire day reading - cooking and cleaning can wait for another day! WOW - what a fantastic book. I was so invested in Gilly's life that I just couldn't stop reading. From the first page, the reader falls in love with Gilly. She has had terrible things happen to her - the loss of her husband and baby and the use of drugs and alcohol to help her cope. She has moved to a small town and joined AA to help her live her life but every day is a struggle. In the past, she has had dreams that came true and when her current dream of a child being abducted comes true, she has to face the skepticism of the police and her own desire not to become involved to help find the little girl. I can't say much about the plot without giving away a possible spoiler but I will tell you that the twists and turns keep coming and just when you think you know the answer, you find out that you were totally wrong. This is a fantastic book that keeps the reader turning pages to find out more about Gilly and to find out if the abducted little girl is found. I absolutely loved it and think that this fast-paced thriller needs to be on everyone's TBR list. It's a MUST READ! Oooh! These both sound great! Thank you. Both of them where difficult to put down once I started reading.